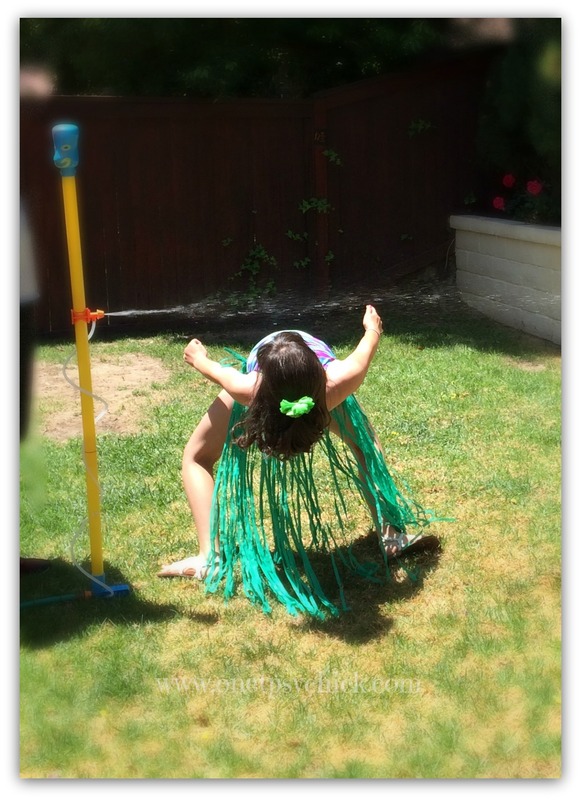 We recently celebrated my youngest’s birthday party with a mini luau. I say mini luau, because we decided to keep the party small so she could spend quality time with the friends she invited. This turned out to be her “most favorite party EVER”. We started with simple decorations that we found at a dollar store. I placed them around the patio and yard. There were also some really cute lanterns at the dollar store. They are battery operated, but since the party was during the day, we didn’t try them out. 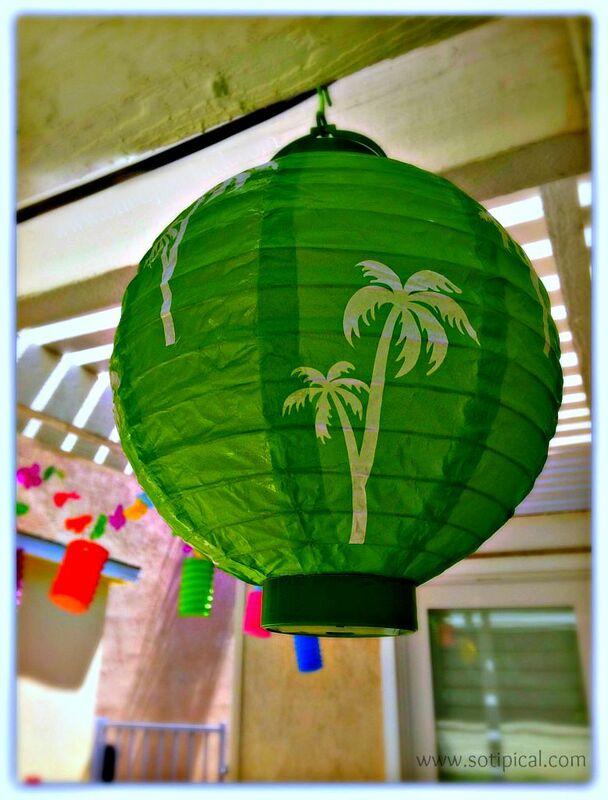 I also had some garland with smaller hanging lanterns from a previous party, so put that up on the patio too. 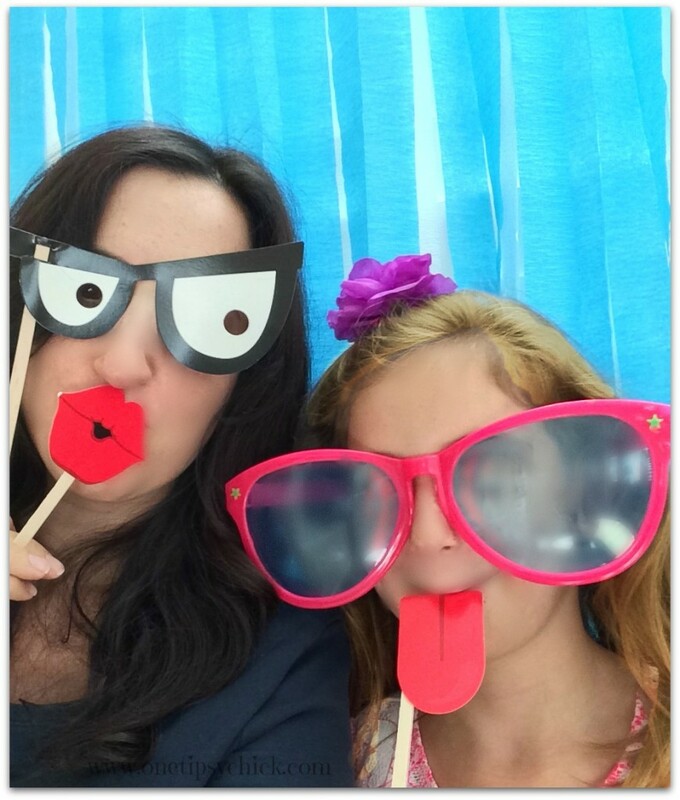 Once the guests arrived we began with a “photo booth” that I made inside. I attached 2 layers of blue and white streamers on a small pole and hung it in a doorway. Our props consisted of boas, large glasses, more leis and some photo booth props that I found at the craft store. I think they were about $6, but I had a 40% off coupon so it was a great deal! Here is where we tested it out before the party. The girls had a blast and even dressed up the pups! We took so many fun photos. I will be printing them to hand out with the Thank You notes. The grass skirts and leis inspired a little hula dancing. The pup joined in the fun, since she was all dressed up! We found a tropical music station on iTunes radio and it was the perfect background to the hula dancing and our first “wet” activity! Water Limbo! I stumbled upon this awesome sprinkler toy at a discount store on the clearance shelf. SCORE! They had a great time and this was our big winner! 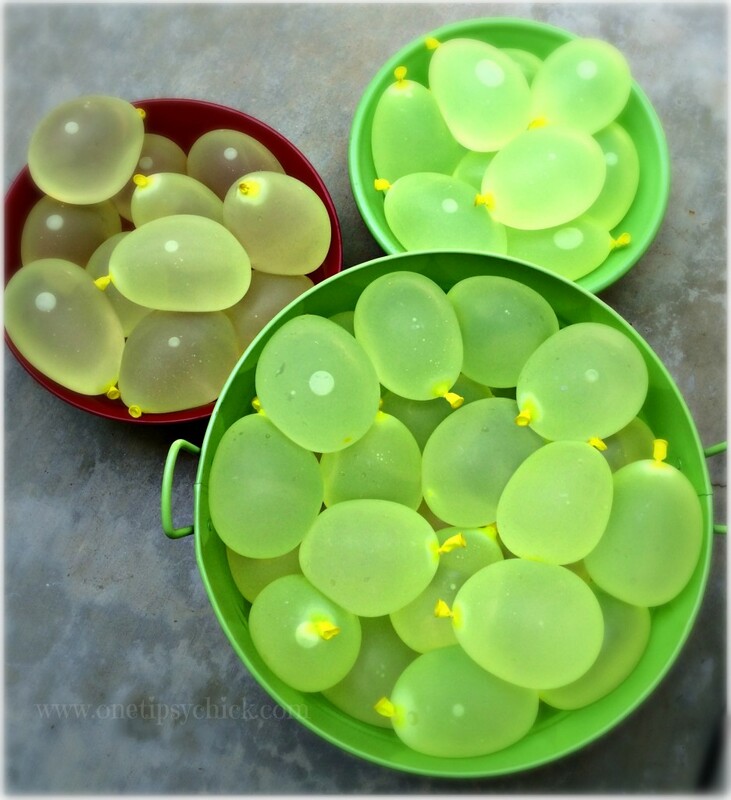 Next up – Water Balloons! Not exactly a luau activity, but still fun and refreshing on a hot summer day. The girls worked up quite an appetite, so they had some yummy treats before and after lunch! My original plan was to serve teriyaki chicken with rice, but they girls wanted chicken strips with Polynesian sauce, carrots with ranch and fruit. 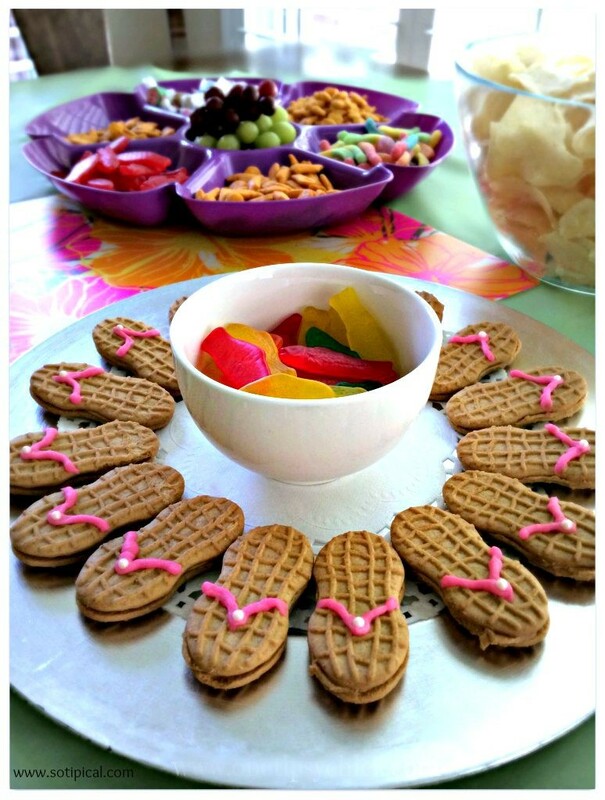 The flip flop cookies were a big hit and so easy to make! Just Nutter Butter cookies and icing, but the Swedish fish were definitely the first to go! The drinks were mini bottles of water and punch made with Tropical Rainbow Sherbet and Sierra Mist with a splash of lemonade. 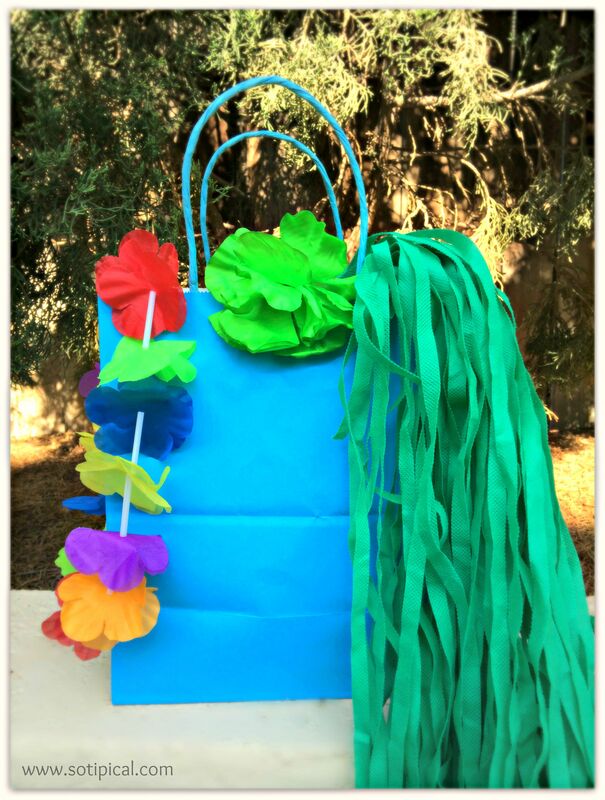 The gift bags contained grass skirts, leis and a flower barrette. The bag was also used for the candy collected from the piñata. 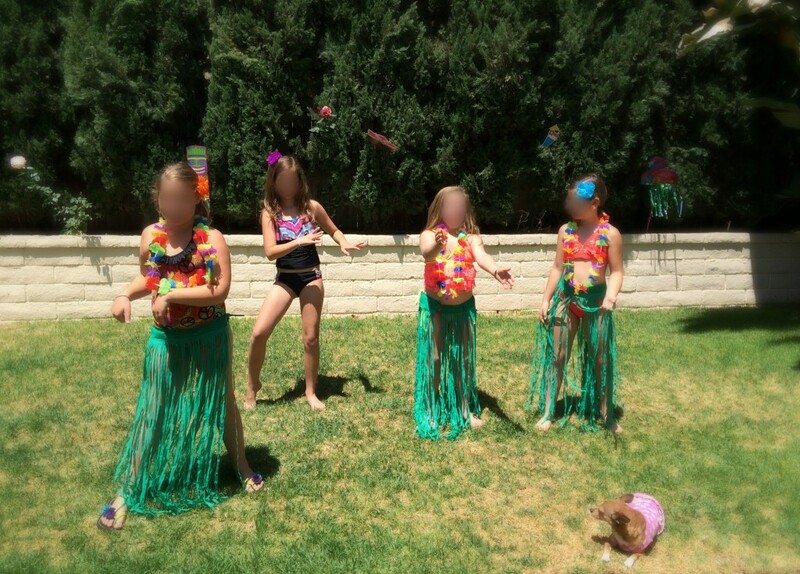 The grass skirts and leis were also purchased at the dollar store and the flower barrettes came from a local card and party store. And finally was the cake! 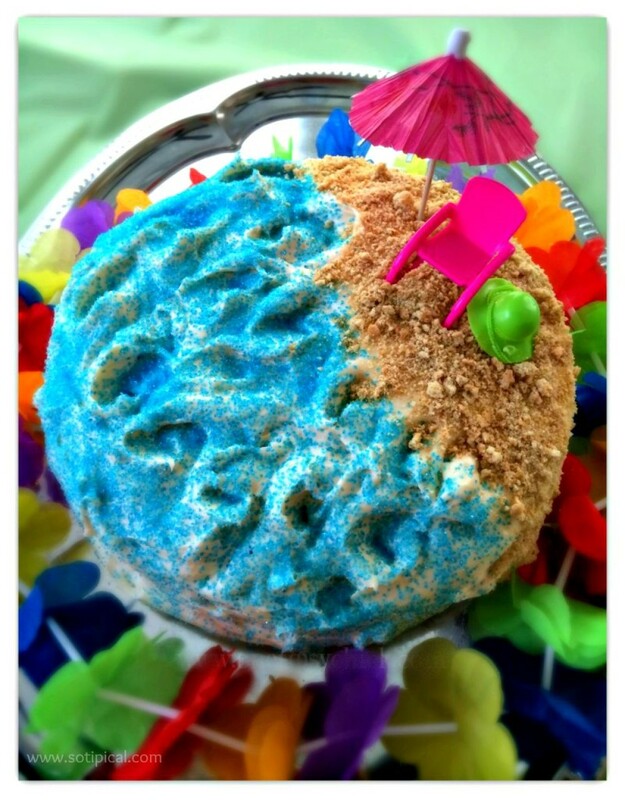 My daughter wanted another beach cake. I made a similar cake for her last party, but she liked this one much better. This time I made a vanilla cake, with a double batch of her favorite cream cheese frosting. You can find the frosting recipe here. Since we are still half packed from our move, I couldn’t find my cake decorations, so we improvised and used some Polly Pocket items instead! This really was a fun party. She is already talking about having another luau later this summer! These are all such great ideas! 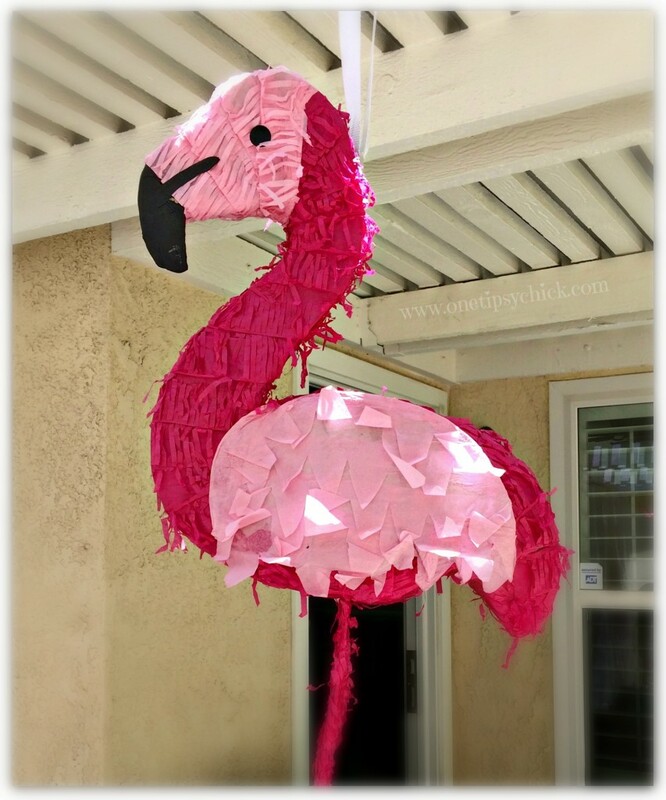 My daughter’s first birthday is going to be a luau theme, so I loved seeing this post! Thanks for all the great ideas! This is such a fun party! I am sure kids loved it! Thanks for coming and linking up at The Weekend Social. All submissions get pinned to our pinterest board! Please be sure to come back next week starting Thursdays at 9PM EST on culinaryflavors.gr ! I hope to see you there!